At our church coffee hour we are planning a Mardi Gras theme. Naturally that is all I can think about. 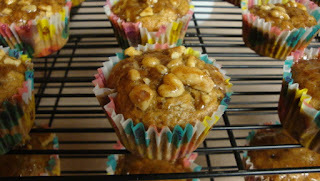 I am thinking of making these Bananas Foster muffins on this one Web log. It looks as if I have all the ingredients and my friend Lizzie and I have come into possession of a huge lot of bananas. You know what kills me? I love food Web logs but the people who write them, they post way too many pictures. You are scrolling down trying to get to the ingredients and it is all blah blah blah and photo photo photo photo photo. And most of the photos are pretty much identical. Son of a rum-swilling sea cook, get to the recipe already! But anyway. 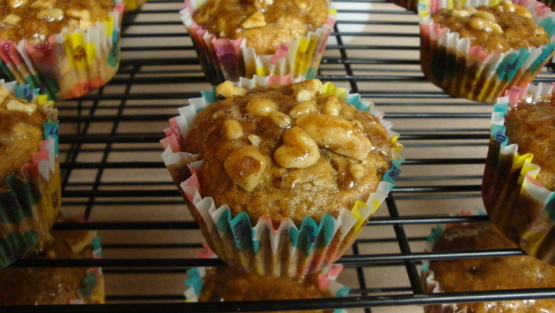 The Bananas Foster muffins look like fun. Only perhaps a Bananas Foster Cake would be better. You could cut it into mighty slabs. I have a Bananas Foster story. Years ago in New Orleans, a group of us gathered there, as we used to do, magically, once in a while. And my friend Daryle and his then-girlfriend, now wife, Lisa, insisted on going out for Bananas Foster. The rest of us laughed ourselves silly because we were going to, I don't know, sit around the pool and drink Hurricanes, or something. Now I know that Daryle was right! Bananas Foster is a signature dish and not to go to Galatoire's and sample it is foolishness. Plus I should have trusted the good taste of Daryle, who has always, always appreciated the fine things in life. Would that I could go back in time. I would go with them! I would have been a third wheel on their date but that would be just too bad. Oh well. As my friend Daryle would say: "That's what happens when you stray from the cool people." Speaking of which, as we contemplate past regrets and future triumphs we can savor the music of cool New Orleans composer Louis Moreau Gottschalk. Pennario playing -- what else? -- "Le Bananier." Does it mean "the banana tree"? It does!